Gum disease is a problem for many adults, but it can also affect children. Inadequate brushing and flossing and hormonal changes associated with puberty can cause your child’s gums to become red and swollen. Your child’s gums may bleed when brushing or flossing or at other times. The gums may recede away from the teeth and expose the roots. Your child may also have bad breath that does not go away after brushing and flossing. Chronic gingivitis is a common problem in children. It can cause the gums to swell, turn red, and bleed easily. 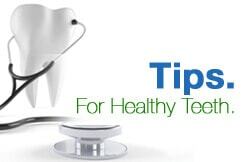 Gingivitis can be prevented and treated with brushing, flossing, and regular dental cleanings. If it is not treated, it can progress to more serious forms of gum disease. Aggressive periodontitis can affect children who do not have any other health problems. Localized aggressive periodontitis affects teenagers and young adults. It generally affects the first molars and incisors and can cause severe loss of alveolar bone. Patients with aggressive periodontitis often have very little plaque or calculus on their teeth. Generalized aggressive periodontitis usually begins around puberty and affects the entire mouth. It causes the gums to become inflamed and leads to heavy accumulation of plaque and calculus. If left untreated, generalized aggressive periodontitis can cause teeth to become loose. During puberty, increased levels of hormones such as progesterone and estrogen increase blood circulation to the gums. This can make them more sensitive and make them react more to irritation, including food particles and plaque. Teens are at greater risk for periodontal disease. As a teenager progresses through puberty, the gums will swell less as a result of irritation. However, it is important for teens going through puberty to brush and floss every day and go to the dentist for regular exams and cleanings. If your child has gum disease, your dentist may recommend treatment to prevent damage to tissues and bone. If your child has severe periodontitis, it could be an early symptom of a systemic disease. Your child should also receive a general medical evaluation. You can help prevent gum disease. Begin brushing your child’s teeth with toothpaste at the age of 1 and begin flossing when teeth touch each other. Practice good oral hygiene habits to serve as a role model for your child. Take your child to the dentist for regular exams and cleanings. Check your child’s mouth for bleeding gums, swelling, gum recession, and bad breath.